The X-T2 is the second iteration of Fujifilm's most DSLR-like, top-end (currently), mirrorless camera. Centered around an APS-C sensor, the X-T2 would look like a classic film SLR if it weren't for that big tilting LCD on the back. Most people would probably say that the big difference is the change from 16mp to 24mp at the sensor. I wouldn't. While more resolution is always welcome and 24mp is de rigueur for APS-C sensors, overall that isn't the thing that changes the camera so much from its predecessor. As sometimes happens (D810 from D800, D7200 from D7100, etc. ), it's all the little things in combination that make the X-T2 a better camera than the X-T1, and a more desirable one in shooting. Even something as simple as all the configuration you can do to put useful information into the EVF while shooting makes a difference. The focus system, too, has taken a big step forward, so when you first pick up the X-T2 after handling the X-T1 you really do get the feeling that this is a new camera, one with more refined features and performance. Without giving away anything before I present the performance section, below, the X-T2 just seems to be closer to a DSLR, which is what I'm sure Fujifilm intended. Note that the new focus system isn't quite as simple as it seems. 169 phase detection points are in the central square on the sensor. Fujifilm has added two columns of 13 contrast detection autofocus points down each side on the long axis to fill out the focus coverage area. While you can choose any of 325 focus points in the Single Area mode, not all of them are created equal. This means that portrait shooters need to be particularly careful: it's easy to choose a contrast detect sensor and lower your performance when shooting full body images of people. But to me it's still the tinier things that change the character of the camera for the better. The X-T2 starts up faster (which is good, because it sleeps really good, requiring the shutter release button press to wake it up). The shutter lag is right there with DSLRs at around 50ms (and slightly faster in the Boost mode). Getting the focus position selected is faster with the joystick than it ever was with the Direction pad. Even the EVF has faster updating (60 fps instead off 55 fps, but 100 fps if you set Boost mode). Noting a trend here? One word: faster. Likewise, the better mechanical shutter fixes some not-so-great aspects of using flash and firmly puts the X-T2 up there with the DSLRs using extra lighting. Fujifilm also introduced the EF-X500 flash unit, which provides high speed flash sync and remote TTL flash, so that crosses another thing off the "only on DSLRs" list for Fujifilm. And hurray, hurray, there's no red "record video" button on the camera to accidentally press. Instead, you use the Drive dial under the ISO dial to set the camera to movie mode. Easy enough to do quickly, not easy enough to keep accidentally triggering video clips. Speaking of buttons, eight of them can be customized, and all eight support 32 choices for what they do. None of this "one button can be set to a few things, another button can be set to some other things" kind of customization, but straight out if it's configurable, you can put that choice anywhere. The tilting LCD is so tricky I didn't even notice the second mechanism for quite some time. Besides the usual up and down tilt found on previous Fujifilm bodies, there's a little slider on the left side that unlocks a second tilt that goes left and right. That means you can shoot vertical shots with camera below you or over your head and see the correct orientation on the LCD while composing. Now that I've seen this trick, I want all tilting LCDs to have it. As much as Fujifilm has added to the X-T2, you can still find some things that are not there. For instance, Auto ISO still can't take into account focal length (fixed in the most recent firmware update). The good news is that these things are the sort of thing that Fujifilm tends to eventually handle with firmware updates. As much as the Fujifans get all revved up about the retro nature of the XT-2’s controls, I’m here to report that Fujifilm is still missing some very obvious issues with their cameras in terms of handling. No, it has nothing to do with the dials. I like that the ISO and shutter speed dials can be locked (center button press), and I like their positions and implementations. Old school, sure, but if it wasn't broken in the 60's and 70's, why would it be broken now? Personally, I wish the Exposure Compensation dial could be locked, too, as I sometimes (rarely) can dislodge it without noticing, but that isn’t the problem, either. The real problem is simple: no one at Fujifilm tries using these cameras with gloves. Moreover, positioning of many if not most of the buttons is sub-optimal, which makes some types of shooting awkward, at best. The XT-2 also seems to be designed for small hands and fingers. Let’s start with an obvious one: AF-On. Yes, you can assign a button to AF-On (and remove focus control from the shutter release via another option). Great. Now where’s that button and how well positioned is it for an action shooter? Oops. And where is the other place your finger goes to control the focus? The thumb joystick, which is far below and not on the same line as the button you likely assigned to AF-On. These are also small buttons that are barely extending out past the body back. I won’t find them even with thin gloves on, and I often even had troubles finding them without gloves on. Wait, isn’t this camera designed to work in wet, cold situations? My answer is no. Just putting in some weatherproofing is not the only thing you need to do. You also have to make the camera controllable in those situations. With the back panel even slightly wet, the problems of the small, hard to find buttons are increased. And that’s if I were to agree on the position of those two buttons I might want to assign to back button focus. I don’t have large hands (nor small), but the reach using the thumb to get up to the most likely button you’d assign to AF-On (the AE-L button) removes my strong right grip hold on the camera. Ironically, I was also testing the low-end Nikon D3400 while I started testing the XT-2 and guess what? Nikon got the button position right, Fujifilm didn’t. Even the Sony A6300 gets this button position more correct (though, like Fujifilm, the button itself is a bit tough to find by feel). Yes, I’m a little worked up over this. That’s because, like many pros, I use AF-On focus techniques with cameras that can track focus reasonably well (or better). Otherwise known as back button focus. Why? Because I can stop the camera from focusing by removing my finger from the button, and resume it at any time (in continuous AF) by pushing the button back in. This gives the equivalent of both AF-S and AF-C without having to move the front switch, press extra buttons, or menu dive. If you contort my hand position while I’m using back button focus, it just isn’t comfortable to use this technique, yet it’s been proven over and over again in the pro ranks to give us the most control over focus. And isn’t one of the key things about the XT-2 supposed to be how great the focus system is? I finally decided to use "front button focus" ;~). Fn2 on the front of the camera can be found by my right middle finger, my index finger stays on the shutter release, and my thumb slightly awkwardly finds the joystick. Not ideal, but better than using the AE-L or AF-L button. Simply put, Fujifilm needs some ergonomic help, and AF-On is one of the places where it’s most obvious. But there are others. The drive control ring under the ISO dial and the metering control ring under the shutter speed dial are good placements. But where’s the lever to move them? At the front of the camera. Can you find it by feel? Maybe (not with gloves). It doesn’t stick out very far, obviously because Fujifilm was afraid it would get easily moved by catching on something. But these are ridiculously small levers that are designed for very small fingers. Moreover, when these levers are in extreme positions due to the selection you made, finding them gets even tougher to do by feel. I was one of the first to criticize Fujifilm on the buttons that formed the Direction Pad on the original XT-1. On the first production models those were embedded and really tough to find by feel. Yuck. Fujifilm raised those on later production of the XT-1, and it feels like they raised them a bit more on the XT-2. But they’re still small, just like every other button on the camera. They’re not glove friendly. They’re easy to slip off of when wet. One bit of good news that intersects with this is the new focus joystick, which means you don’t need the Direction Pad buttons to move the focus cursor. But I think that this joystick is completely mispositioned (the Q button and it ought to switch places to make for a more natural hand position during use). Unlike the AE-L button I want to use for AF-On, using the joystick doesn’t make me lose grip on the camera. Unfortunately, like the other controls, it’s too small. Sensing a theme? (1) too small; (2) tough to find or mispositioned. Since this isn’t Fujifilm’s first dance, I think we need to hold them to a higher standard now. The XT-2 is supposed to be a “fast camera,” one that can hold focus on moving subjects, take high frame rate bursts, and basically promote itself into the pro ranks. These small control miscues keep it from getting there, as far as I’m concerned. I find my hand doing awkward things when trying to use the XT-2 for action as I do my D500. That’s not good. Moreover, the XT-2 simply isn’t going to be my winter camera, as I’d never find any control—let alone use it—with even thin gloves on. Shame. I need to take a Fujifilm engineer out into some of the winter shooting situations I end up in and have his ungloved fingers freeze to the metal body. Then we’ll get a fix. Meanwhile, Fujifilm has refined and completely reorganized the menu system, which is (mostly) great. They already had a reasonably clean menu system, but now it’s a bit better organized and grouped, and more options have surfaced up to where you can find and set them faster. That said, it took me a bit before I discovered that User Setting has the Format option buried in it. No, no, no. Do the Japanese camera makers not understand that Things We Do Often Should Not Be Buried? Update: someone suggested that Fujifilm does address this, with the only-if-you-closely-read-the-manual-and-can-remember-it "press the Delete button for two seconds and then also press in on the Rear Command dial." This is undiscoverable by the casual user, unlike the labeled two-button approach Nikon uses. Moreover, it still doesn't solve the problem. If I'm in the menus doing something and want to format the card, too, I have to menu dive. Discoverable, memberable, and prioritized. Those are all UI design issues that fail in the Fujifilm design. The thing that’s so frustrating about the handling is that Fujifilm is so close to getting it all right. The direct dials are great, I don’t know why every camera maker was so fast to abandon them in the digital era. The number of controls available without dipping in menus while shooting is great, I don’t know why every serious camera isn’t as well endowed as the XT-2. Tilting LCD, check. Modest but strong grip and thumb support, check. But there’s just too much that’s small and not in the right place that detracts from all that. That’s not a total deal breaker, but in my book it’s what separates what is a really good camera from what could have been a really great camera. Details matter. Indeed, you’ll note that I—and others on the net—are constantly writing about details in our reviews. The basics of making a camera have been pretty much mastered at every camera company. But how is it that 50+ years after the first SLR we’re still finding camera makers getting simple details like button position and size wrong? That should have been the simplest problem to solve, not one that escapes the engineering team time and time again decades later. I’ll tell you why I think Fujifilm keeps making this mistake: it’s easier. Internally, modern cameras have ribbon cables snaking all over the place, and users now expect their cameras to be weather sealed, which means that any outer control becomes an internal engineering problem. We’re getting stuff put where it’s easiest to engineer for sealing, I fear. Plus on top of that we have the “well we did it that way last time so we can re-use that” type of thinking. Sigh. So what we have in the XT-2 is a good camera. The handling is basically very good, maybe even excellent in some situations, particularly for the shooter that doesn’t mind bringing it down from the face to make changes. Unfortunately, it’s not a great camera for the action shooter, which ironically, is one of the target users Fujifilm has in mind for this model. That doesn’t mean I can’t use it for action. It means that I find it suboptimal for it. Some of you might not understand that until you’ve shot the same subjects with a camera that has been designed right in terms of the external controls. Jumping back and forth between the Nikon DSLRs and the XT-2 was jarring in this respect. AF-On happens so naturally on the Nikons, my thumb is flailing a bit on the XT-2 and my grip is loosened. Which would you rather have? QED. Oh, and one other thing: when is Fujifilm going to let any button wake the camera? Battery life: As with all mirrorless cameras, your mileage is going to vary quite a bit. The bottom line is this: it depends upon how and what you're shooting. The CIPA rating for the X-T2 is 350 shots per charge. Most of the time I'm getting well above that, but that's partly because much of my testing was burst shooting testing autofocus performance. Shooting continuous sports, I'm easily getting double the expected battery life. Shooting casually with lots of LCD review, I come closer to the CIPA number. CIPA's standard test involves flash, too, which I'm not using. Also, some things, like AF pre-focus, seem to impact battery life significantly. Overall, I never felt like the X-T2 was a battery hog. I've been getting by with just two batteries for full day's worth of shooting, though barely in a couple of cases. One nice touch: the Fujifilm supplied batteries have a small colored mark on their bottoms that corresponds to where the colored latch is. Since the battery is basically a box, this helps you figure out orientation quickly. I can't count how many times I've tried to put similar boxy batteries in backwards on other cameras. That said, I prefer the Nikon DSLR style, where the battery shape forces only one way to get the battery into the chamber. Card Write Performance: Finally! The X-T2 is UHS-II compatible, and for once Fujifilm seems near state-of-the-art in writing to the card. The buffer isn't as deep as I'd really like (27 shots in raw), but the camera clears images quickly. A full buffer clears in a few seconds with a state-of-the-art SD card. If you use the vertical grip, you can set Boost mode, which has all sorts of benefits, including a faster frame rate (also faster shooting interval, release time, and blackout time). You really don't appreciate that UHS-II support until you're running at 11 fps in Boost mode. Autofocus: The proverbial good news/bad news thing. The good news is that the X-T2's focus speed seems to be pretty darned good. In many situations I can clearly call it DSLR-like. But that doesn't explain why I have so many slightly out-of-focus images in my test files, including a couple where face recognition was made. If you put the camera into continuous autofocus and hold a button down to keep the camera focusing, you'll often see a little in-out effect cycling while you do. It's a bit like focus hunting, only it never goes very far from the actual focus point. I've noticed that a lot of the focus "misses" I had came in this situation. And I had more focus misses on the X-T2 than on the Sony A7rII in the same situations. At first I thought that there was a focus setting I wasn't getting right, but even after spending a lot of extra time with this camera before publishing my review, I'm pretty sure that that it just sometimes misses focus by a tiny bit when in continuous shooting mode. What I haven't been able to ascertain is how to replicate that perfectly in a controlled situation. We've got some caveats to deal with, too. Face detection can struggle in really low light. Personally, I'd tend to turn it off for anything but static, set-up shots, and even then I'm not sure it's overly useful. Like DSLRs, the X-T2 has a configurable continuous focus system, allowing you to tweak overall tracking sensitivity, speed tracking sensitivity, and in some settings, zone area switching. The camera provides five examples (with images) that preset all three values. For the things I was shooting, Set 5 tended to work best, but this is one of your mileage varies aspects again. Since this review comes after many other sites have published their review, I'll say this: I think dpreview's conclusion comes closest to agreeing with my assessment. I personally have very tough standards for "nailing focus." The X-T2 in continuous focus doesn't nail every shot on moving subjects like my D500 does. In a few cases, mostly slower moving objects and more predictable movement I could get my keeper rate up into the 80% range with the X-T2. But the D500 was hitting 100% on those conditions. On very erratic and tough-to-handle sports action, my keeper rate was far lower than 50% on the Fujifilm. Five years ago, 50% in the toughest situations would have been remarkable for a mirrorless camera. 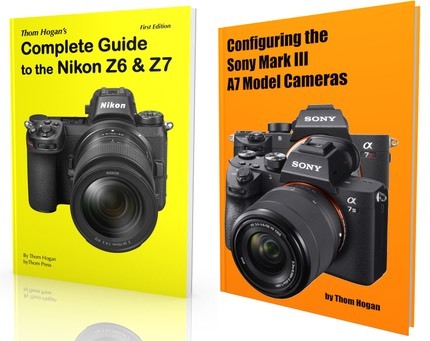 But I'd say the Sony A6500 and even the A7 series Mark II models are beating Fujifilm on focus consistency on fast moving subjects, and none of them match the latest DSLRs. But let's get back to how most of us use cameras most of the time: I have no problems at all with the X-T2 focus in that respect (other than the couple of smaller things I mention above). Set to Single Servo focus on a static subject, it's fast and accurate. Set to Continuous Servo focus on moving subjects, it's fast and mostly accurate. One last bit: focus speed and accuracy seems a bit lens dependent. On most of the primes, super fast and very accurate. As you get to longer focal lengths, especially with slower lenses, things start breaking down a bit. The 50-140mm f/2.8 seems fine, but the 55-200mm f/3.5-4.8 seems sluggish and struggles at times, for example. Some of this is certainly the amount of light getting to the sensor. But on-sensor phase detection also is hampered a bit by geometry as you start pushing up the focal length. Overall, I'm pleased with the focus performance of the X-T2, but not impressed with it. By that I mean I can deal with what it can and can't do and it serves 90% of my needs just fine, but it just doesn't quite match what my DSLRs can do. Image Quality: I'm sure I'm going to get some pushback on this, but Fujifilm's marketing is well ahead of the actuality when it comes to image quality. There's no denying that the Sony-derived 24mp sensor is a good one, perhaps as good as it gets in the APS crop world (but hold that thought). But Fujifilm's marketing claims aren't really met by this new sensor (or the old one, for that matter), and there's more going on under the hood than you think. Let's start, though, with JPEG performance. Fujifilm's in-camera processing is a bit on the strong-handed side, which many of you will probably like. Reds aren't quite red, they have a bit of yellow hue shift to them. Yellows tend a little orange. Cyans are not subdued but highly saturated. And that's just with the Provia setting, which Fujifilm claims is their more neutral offering. It may be difficult to see here, but the orange is getting close to out-of-gamut in the JPEG. Also note that there was a lot of detail in the bottle that disappeared with the contrast curve Fujifilm applies. Both Olympus and Fujifilm have a reputation for lots of manipulation of JPEGs. Both tend towards higher contrast and over saturation, and both have significant hue shifts. Fujifilm will argue that they've studied the science of color and are just providing what people want. Maybe. The problem I have with all these double hue shifts and tonal alterations is that if you later want to change or modify color, it's far harder to take these things out than put them in. Personally, I gravitate towards Nikon's more neutral approach. Some of that is just that I've adopted my workflow to Neutral Picture Controls, some is indeed a personal preference. Worse, I found Fujifilm's auto white balance to be considerably more temperamental than other cameras I've used. I've got orangish images taken in incandescent light, blueish images taken in shade. Frequency-based lighting seems to make the auto white balance system slightly more unpredictable than I'm used to with the Nikon DSLRs. The following X-T2 image, for example, goes quite a bit warmer in the lit areas and cooler in the areas that had mostly ambient light hitting them. With my Nikon I don't get the overshoot on the lit areas and the overall image is just slightly warm (and not an orange warm). Fujifilm has a reputation for "waxy skin" effects. I've actually upped the sharpening a bit on this cropped, detailed image to overemphasize what people are talking about (normally the effect would be much more subtle). You can see the waxiness most clearly on the forehead between the eyes and again on the chin. Still, I've not heard many Fujifilm users object to the out-of-camera JPEGs. Just the opposite, in fact. But I wonder how much of this is that Fujifilm has managed to attract folk that like these results in their JPEGs. In order words, built in conviction bias from the user base. I do know that in most blind tests I've seen performed, the Fujifilm cameras seem to do far less well than you'd expect from this expectation of "highly satisfying JPEGs." Then there's raw files. I've written before that I'm not buying Fujifilm's marketing hype about X-Trans. The only place where I think I see better-than-Bayer results is when I do monochrome work on the Fujifilm cameras. That's true of the X-T2, as well. Meanwhile, low level color information has a tendency to just get a bit visually complex in ways that aren't completely natural (that waxy thing more explicit). True, some raw converters don't seem to generate this problem as much as others. But looking at the 24mp images of the X-T2 converted as best I can versus Sony A6500 images done similarly, there's just a slight muddy quality to deep shadow color information on the Fujifilm. Really tough to see, and probably not visible at all if you print at normal sizes—i.e. not greater than 20" on the long axis—but certainly there when you pixel peep. Finally, we have this: people keep saying that the Fujifilm APS-C cameras "are as good as full frame cameras" when it comes to noise. Nope. I would say that the X-T2 isn't quite as good as the Sony A6500 and Nikon D7200, actually. There's actually more noise than I would expect in that area—it's just starting to become visible—but the bigger problem I see with trying to do huge boosts with the X-T2 files is there's a contrast and color muddiness I don't see with the A6500 and D7200 with the same level of boost. Now some of that is due to the Adobe converter being used: Lightroom and ACR are definitely not pulling everything they can out of a RAF file. But even with other converters, I'd say the same thing, just not anywhere near as emphatically. I should note that this is using a modest amount of extra noise reduction in Lightroom, too. Quite usable, but there's definitely noise lurking in the deep shadows. Okay, you probably think I hate the X-T2 by now. No, not really. I've deconstructed its image quality more than I usually do because I keep hearing fawning affection from Fujifilm fans. What I see in the X-T2 is an excellent but not quite perfect APS-C sensor. I get slightly cleaner shadow detail from my D7200 given the same situations I show above. On the other hand, Fujifilm seems to have set things so that highlight recovery is easier from RAFs than from Nikon's NEFs. There is no free lunch. Image quality of the X-T2 is about like you'd expect from a state-of-the-art Sony APS-C sensor, albeit with Fujifilm's exposure, non-Bayer, and JPEG processing differences. The image quality of an X-T2 does not equal that of a full frame camera like the D750, though. In terms of place among the current realm of cameras, I'd put the X-T2 up near the Sony A6300/A6500, and above the Canon EOS M5. It's clearly well below the A7rII while clearly well above the m4/3 offerings. Which is as it should be if physics is still working on this planet post-populism. Fujifilm wants to sell XT-2s as event and action cameras. The focus system performance coupled with the sensor’s image quality ought to appeal to pros in both those categories as long as they're not looking for the very best. Fujifilm is targeting a similar space as to the Nikon D7200, and the Canon 77D. Maybe even a bit higher if you fully buy into the X-Trans story (I don't, and I don't think you should, either). What I see is a camera that gets the image quality things mostly right (and with emphases some like), has the focus performance most are seeking, but still has some annoying control dissonances (e.g. small, hard-to-find buttons). The more methodical shooter isn’t going to mind that last problem. Indeed, they might not even think there are any dissonances at all. It’s only when you start trying to push the camera into something like sports shooting—and heaven help you winter sports shooters—that you start to get annoyed by those things Fujifilm still hasn’t gotten right. Which is a shame, because the XT-2 comes so close to getting everything right. No one can dispute that Fujifilm’s color and tone curves for JPEGs are attractive to many, and maybe even as good as it gets from a camera maker. The 24mp Sony-derived sensor is performing at the front edge of aspects most things for APS-C, such as dynamic range, just as you’d expect. The focus system is the first mirrorless one outside of the Nikon 1 I’d tend to feel slightly comfortable with for any real action tracking, and it’s pushing into DSLR territory in terms of focus performance in many, but not all, situations. The big, bright EVF viewfinder is arguably one of the best out there, and even the “always optical” fans might find it acceptable. There’s just so much to like about the XT-2. And yet I can’t help but feel that Fujifilm has missed a subtle-yet-important aspect of design here: suitability to purpose. If the purpose is to substitute for a D500, the X-T2 misses. The Fujifilm engineers need to look more at the size, placement, and prioritization of their controls, and they need to boost focus performance, too. If the purpose is to just build a solid all-around camera, the X-T2 comes far closer and matches up more nicely with a D7200, but I’d argue that it still misses a few things deep down in the devil's details. That said, I’ve lived with far worse designs than the X-T2’s. But here we are 17 years into the DSLR era and I don’t think I should have to “live with” any issues. The use of AF-On, in particular, is a bit frustrating on this camera, so much so that I’ve taken to go back to shutter release focus with my X-T2 for some of my shooting. That just shouldn’t happen. The good news is that Fujifilm does seem to listen to feedback. The bad news is that these control issues I outline require real physical changes, not firmware updates. Which means we might not see them fixed until the XT-3. I’m being harsh here because the internals of this camera deliver decently enough for everyone to consider it, but the externals of the camera clip the usefulness of that performance. For most people, the XT-2 will give them exactly what they want: crop-sensor, near-DSLR performance, in a modest mirrorless body, with a pretty full lens set of options to consider. Many will take the slower dial-based Fujifilm X system over the more instant button-plus-dial styles of the Canon and Nikon DSLRs. But the buttons that you might want to use on the XT-2 without taking your eye from the camera? They are by far the weakest link on the XT-2. I can probably live with them (except in winter), but I don’t like them, and neither should you. So I find myself in a bit of a quandary. So many things are good about the Fujifilm X-T2 I want to heartily recommend it. But every time I get down in the dirty detail, I find a few things I want dealt with by the camera maker. To some degree that's true of any camera these days, but I really felt like I should have walked away from over six months of shooting with the X-T2 with a far better feeling than I have. The frustrating thing is that there's not a lot that I'd need changed to probably get to 100% positive about the X-T2. I can live with X-Trans if that's what Fujifilm wants to market. But the small buttons and misplaced controls are frustrating, and the focus performance doesn't quite live up to Fujifilm marketing's "a new AF brain to capture the decisive moment every time." I'm going to finish by saying I like the X-T2. A lot. Fujifilm is clearly on the path to making a great camera (by my very tough standards; they may already be there by yours). But the X-T2 isn't great yet. Closer than the X-T1, for sure, and closer than the Canon EOS M5 or the Sony A6xxx models in my opinion. The X-T2 is arguably the best APS-C sensor mirrorless camera you can buy at the moment. Let's hope the X-T3 fixes those last little qualms I have. An earlier version of this review incorrectly stated that the second slot was not UHS-II compatible. That's true of the X-Pro2, but not the X-T2. I've also added a few additional comments and clarifications in areas of the review that readers reported issues with.